Listeria monocytogenes is a bacterium which can give rise to food poisoning and so is a serious food safety concern in food production. In 2015 according to Public Health England, there were 169 cases of listeriosis in England and Wales. This might not sound many, but the mortality rate for this pathogen is high at approximately 30% of cases. The elderly and unborn / newly-born babies are most vulnerable to the disease. Listeria monocytogenes is the only member of the genus Listeria which is recognised as a human food pathogen. However, all Listeria species have the same growth requirements, and so the presence of a ‘non-hazardous’ Listeria can be indicative of the presence of Listeria monocytogenes. Grow - albeit slowly - at chill temperatures and is especially a concern for chilled ready-to-eat (RTE) foods. Produce protective mechanisms (for example ‘biofilms’) to help it survive. These characteristics enable Listeria and Listeria monocytogenes to cross-contaminate foods that have undergone a process to eradicate vegetative pathogens (e.g. cooking), and so it can pose challenges to food manufacturers. Drains are the prime place to look for this bacterium, because each time the production area is cleaned, residue leaves via the drains. A close second on the list of places to look is ‘cleaning equipment’ such as brushes and squeegees, which are used as part of any clean-down process. Most, if not all, cleaning equipment will be used as part of routine cleaning. Cleaning equipment is often forgotten when considering how to maintain a Listeria-free production environment. Cleaning equipment should itself be cleaned after each use to prevent it being a potential route for cross contamination. Storing cleaning equipment such as squeegees in a sanitiser bath when they are not in use will help to reduce cross contamination. 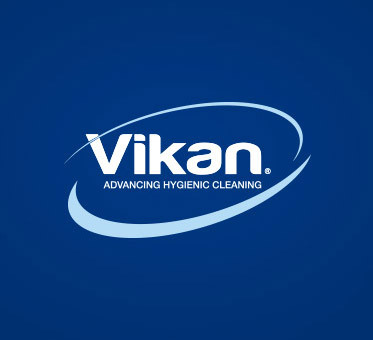 This does require the sanitiser solution to be remade on a very regular basis, as the presence of organic material on the cleaning equipment can neutralise the sanitising agent. Cleaning equipment should be stored or hung up when not in use. If equipment is left on surfaces such as the floor, it can remain wet and can support growth of any Listeria cells present. Colour coding of cleaning equipment is frequently used to ensure that dedicated cleaning equipment is used only where it is supposed to be. Segregation can be by area of the production facility, as well as ‘zone’. For example, cleaning equipment used for product-contact surfaces are often separated from floor-contact cleaning equipment by colour code. When cleaning equipment becomes worn out, it can readily harbour bacteria such as Listeria. Consequently, it should be replaced regularly. The Food & Drug Administration (FDA) has recently identified four zones of importance when controlling Listeria in RTE production facilities in the USA. Listeria monocytogenes is a very dangerous food borne pathogen. The 2017/2018 outbreak in South Africa, where there have been approximately 950 cases and 180 deaths is testament to that. While producers of ‘at risk’ products should be aware of problems associated with Listeria and better prepared with a knowledge of control measures, plant managers need to pass this information to their entire staff. With the right training and the proper controls, staff should understand how to identify Listeria problem areas, reduce the risk of listeriosis with hygiene practices, and control future outbreaks.